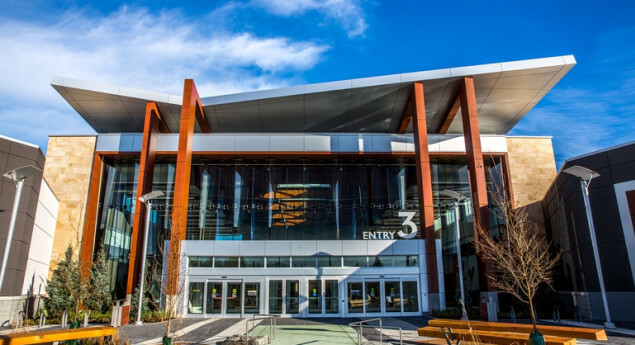 Tsawwassen Mills is a shopping mall on Tsawwassen First Nations land, in Delta, British Columbia. The mall was built by Ivanhoe Cambridge and opened on October 5, 2016. It features 1.2 million square feet of retail space and an 1,100 seat food court. It features 200 retailers, including Bass Pro Shops as well as its sister chain Uncle Bucks, and Saks Off 5th. 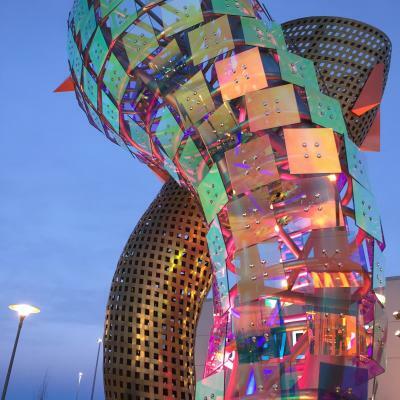 It is modeled after the successful CrossIron Mills in Calgary, and Vaughan Mills in Vaughan, Ontario. The mall opened on October 5, 2016, attracting 284,000 shoppers in its first six days. The grand opening attracted 50,000 alone and caused massive traffic jams in the parking lot and surrounding streets. Photo Credit: Photography copyright https://www.tsawwassenmills.com. Licensed under the Creative Commons Attribution-ShareAlike License. Photo: Photography copyright https://www.tsawwassenmills.com. Licensed under the Creative Commons Attribution-ShareAlike License.